AUD is getting weak due to the RBA decision to leave the rate unchanged. The support rests in 0.74160 with resistance at 0.74480 which the weekly pivot point at 0.74420 is located in between the lines. The EMA of 10 is moving with bearish bias and it is located below the EMA of 100 and the EMA of 200. The RSI is moving on the 50 area, the MACD indicator is moving in neutral zone and the Stochastic is showing downward momentum. The ADX is showing sell signal. 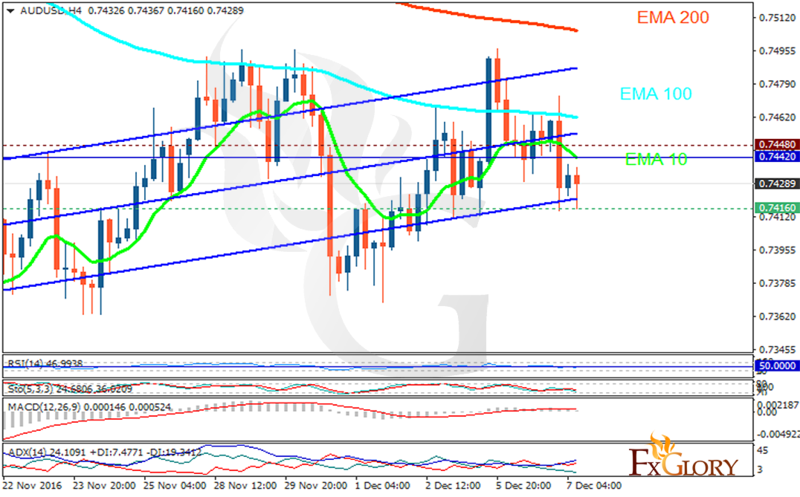 Considering the weak AUD, bullish movement is mostly probable therefore buyers can target 0.7550.